Berberian Sound Studio centers on Gilderoy (played by Toby Jones), a British foley artist working on the audio track for an Italian giallo film, The Equestrian Vortex, takes a wrong turn as life starts to imitate art. 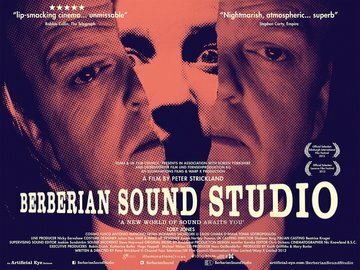 Berberian Sound Studio subverts the usual visual experience of watching a horror film and shows you the creation of a horror film in sequences where you see the foley effects, voice and music being added to a film that is omitted from the audience. It creates an unsettling otherworldly creepiness as you watch foley artists stab watermelons, voice actresses shrieking and convulsing in sync to an offscreen projection. We never see much of the film-within-a-film The Equestrian Vortex and the lack of it forces the audience to be highly sensitive to the the sounds in the film. It’s unnerving and it becomes gradually creepier as it goes along. Never has a shot of someone’s hand tearing lettuce been so scary. As a “film about a film”, Berberian Sound Studio celebrates the art of filmmaking by showing us the power of cinema by presenting all its techniques both literally and metaphorically. It’s not heavy on plot nor character. You must feel your way throughout this film with your senses as it’s creating tensions through visuals, sounds and feelings. Things that aren’t happening before us are constantly implied and its constant claustrophobic interior setting is a metaphor about the inward journey of the artist’s mind creating their own world. The way an artist craft stories with their imaginations, the love and stress that goes into their work and how it can often become obsessive. And for that, it’s perfectly okay to be lost inside Berberian Sound Studio. Set the volume at a decent level and just let the visuals, soundscape and montage guide you through varying states of reality and fantasy. I recommend it to horror fans and any film buff. It’s a real piece of art. 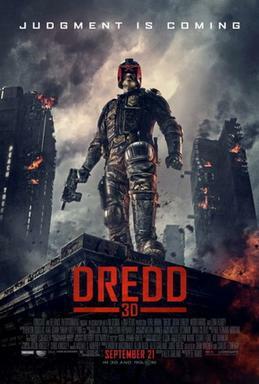 In a violent, futuristic city where the police have the authority to act as judge, jury and executioner, Judge Dredd (played by Karl Urban) teams with new trainee Judge Anderson (played by Olivia Thirlby) to take down a gang that deals the reality-altering drug, SLO-MO. It is an unfortunate coincidence that Dredd is correlated to The Raid: Redemption because they have similar setups (my short review of The Raid: Redemption here). Fortunately, I saw The Raid: Redemption earlier in the summer of 2012 and missed Dredd in theaters, as a result I have enough time in between the two films to mentally separate them. Being unfamiliar with the source material, what I actually ended up comparing Dredd was the 1996 Slyvester Stallone’s Judge Dredd. It’s a sci-fi movie that I grew up on and entertained me (however Demolition Man is the superior sci-fi Slvyester Stallone movie). It’s famously criticized because Sylvester Stallone, at the behest of the producers, plays the latter two-thirds of the film with his helmet off. Judge Dredd in the comics, never takes off his helmet. I never knew what the big deal was with the insistance that the Judge Dredd character must keep his helmet on… till I saw Dredd. Judge Dredd is not a character as more a representation of pure black-and-white law taken to the extreme. That’s why he’s meant to be faceless. Taking off his mask and trying to find the human backstory behind that character completely shatters what he thematically represents. Yes, I know I sound stupid right now. However, a movie with Judge Dredd alone just shooting criminals would have been boring. The filmmakers understand this, so they have placed in a buddy cop dynamic into the film with the Judge Anderson character. She is more human and more dimensional as a character, and set as a juxtaposition to the stoic Dredd. It can even be argued that the movie is Judge Anderson’s story. Both characters had a good working chemistry and the film deeply benefits from their buddy dynamic as it provides something human enough for me to hang onto between the action scenes. As Judge Dredd, Karl Urban manages to communicate a lot under a helmet and has a firm grasp of the material. Playing a character who is that extreme can easily fall into parody very quickly (there are many Youtube videos parodying Stallone’s delivery “I’m the lawwwwww!!!! !”) and Urban doesn’t fall into that. Lena Headey manages to be cold and scary without being cartoonish as the film’s villain Ma-Ma. The film is over-the-top but there’s no ‘wink wink’, everybody just “is” the character they’re playing. Slow motion in films have been overdone and viewers have grown used to it now. The way to keep slow motion fresh is to incorporate it into the story. Having a drug that slows down your perception of time is arguably the most blatant way to do this. But you know what? It works! It seems fresh and they take the Slo-Mo drug as a story device and take it to creative places. The films has fun action set pieces. The next set piece tops the last and it moves fast enough for you to ever really ponder about the satirical tones. Dredd is fun and made by a team that understands and loves the material. Their goals with this movie were simple but they accomplish them. It makes me think, as proven by the 1995 film, that perhaps the Judge Dredd property is not meant to be adapted into a vehicle for a big name star. The dark humor combined with ultra-violent tone of it just registers as something kitschier that will fare better for a smaller audience. No one’s going to take their whole family to see this movie but more likely a group of guys will cackle over it with a case of beers in their apartment. For the people that want to see Dredd, will get it and enjoy it. For the people who don’t care that much may just dismiss it as being a lesser version of The Raid: Redemption. I’m not going to get on that bandwagon, Dredd deserves better than simply writing it off like that. Lets start with the good things, Ben Whishaw gives a great performance as the aspiring musician. Man he can really rock a voice-over. There’s something very convincing about Hugh Grant playing sleazy disgusting characters. This sounds like a backhanded compliment but I don’t mean it that way. He’s much more believable being slimy than in his romantic comedy roles. I liked the central musical score that the film is named after. That’s about all I can say. Cloud Atlas asks the audience to do an incredible amount of math to keep up with its stories. In my opinion, the movie doesn’t use much style or story devices to help the audience follow the story. Sometimes they downright made it difficult to follow, personally I found the language in the future timeline hard to tune to. I tried very hard for the first two hours trying to figure out how the six story lines connected to each other. I don’t know if it’s something you have to know from the book but I sincerely hope that is not the case. If reading the book is necessary to understand the film, then does that not mean the film failed entirely as a standalone piece? The make-up concept was problematic. Why deliberately make an actor who is Asian look Caucasian? Or a Caucasian actor into an Asian? Racist stereotyping aside (there are Asians who have double eyelids), it kept taking me out of the movie because I am suddenly aware that the cartoonish-looking character would not genetically exist. Seriously, look out for Hugo Weaving dressed as Nurse Hatchett from One Flew Over the Cuckoo’s Nest in one of the storylines. That said, I still gave it a chance and searched hard for the internal logic of the film. I reflected upon viewing, why is one actor playing six roles in six different storylines? Is the fact that I can recognize the actor’s face in a different character meant to be a narrative device? Is it suggesting a thematic connection between the multiple roles that actor is playing? Or is it trying to evoke juxtaposition between them? I failed to see it. The Wachowski’s have gone on record saying that critics are going to dismiss the film as incomprehensible schlock from the frustration of not being able to piece it together. They’d prefer if the audience will just find their own interpretations. I know what they mean, though that doesn’t magically make the movie critic-proof. I probably need to have a dialogue with people who did enjoy Cloud Atlas, because I simply did not connect with the material. As a standalone piece, it did not hold together cohesively. Mainly because I have seen this type of material done much better, I recommend anybody to see watch Jaco Van Dormael’s Mr. Nobody (my thoughts here). 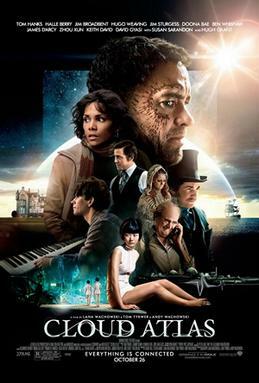 An underrated film that shares Cloud Atlas‘s ambition. It masterfully used every cinematic technique in the book to visually guide the audience easily through it’s attention-shifting tree branch narrative structure. I was able to track the entire story through the twelve different versions of the protagonist as the story developed simultaneously. As for the six story lines in Cloud Atlas, not the case! Who? What? Where? When? Why? Zilch. It’s not a bitter angry ‘zilch’, but I worked very hard following a story that did not payoff. A chef and an epidemiologist fall in love just as a global epidemic begins to rob the world’s population of their sensory perceptions. Perfect Sense presents the idea of the apocalypse in a more personal (and lower budget) way. What are the sensations that make up your life? What does each sense mean to you? What triggers a happy memory? A sad memory? As each human sense fades away one by one, human joys and memories fade away, society crumbles, the way we connect goes away and people start to lose touch with humanity. Or do we really lose joy and memories at all? Are we capable of surviving through it? The disease in the film is quite ridiculous if you think about it. That does not matter. It’s working as a metaphor and we see how the epidemic affects the world. In another movie, they would focus on solving the origin of the epidemic and save mankind before all our senses go away (like Steven Soderbergh’s Contagion). 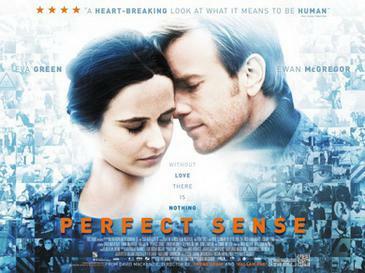 Perfect Sense focuses on the apocalypse through the relationship between its two protagonists Michael and Susan (played by Ewan McGregor and Eva Green) and how they’re reacting to the situation. Their professions allow us to peek at what’s going on in the outside world. Michael’s job as a cook deals in giving people sensation but restaurants have become obsolete after people lose their sense of taste. We see how his restaurant deals with it. Susan’s job shows the science side of the investigative process of the epidemic. However, the melancholic gloom in the film gives you the feeling that they’ll never really know. The romance between Michael and Susan is not random. It’s more than he is handsome and she is gorgeous. What makes it romantic is that Susan’s scent was the last thing he smelled on the night they both completely lost their sense of smell. The movie doesn’t over-punctuate that to make it cute. No, what I appreciated about this stroke was that the collapse of the world pushes them together into a genuine connection. Michael and Susan both fight against the loss of their senses together, trying to enjoy what they can out of life. Ewan McGregor gives a very natural performance as Michael who starts off as a disconnected person and later comes to appreciate life.I always thought there was something naturally dark about Eva Green. There’s something brooding beneath her cold stare (even when she was Vesper Lynd in Casino Royale) and I’m glad director David Mackenzie utilized that to tell this story. I’m about to review Womb next and I’ll probably have the chance to elaborate more on Eva Green later. I liked this romance and how it developed in the context of the story. There’s a scene where the couple reveals their deep dark secrets to each other that was rather noteworthy. 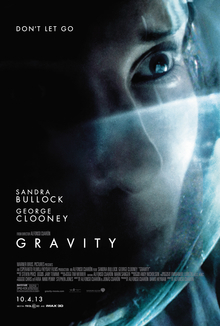 You can practically watch this back-to-back with Lars Von Trier’s Melancholia. (I’m saying this for comparison’s sake, I would not suggest this as a double feature. Unless you like your gloom, then carry on.) Perfect Sense accomplishes what good science fiction does – it made me think about the human condition. I thought about the limits of man, what we are capable of, how we wake up to appreciate the little things after they have been taken away from us and how the human spirit strives to survive even in the worst hopeless moments. There is something admirable about the PG-13 horror film. It is not allowed to be gory, crass, nasty or graphic, and that forces the filmmaker to use alternative, more subtle methods to induce scares for audiences. Scary thoughts and ideas have to be implied as opposed to physicalized. Often it takes more thought and discipline to achieve this. Joe Dante’s The Hole is one good example. I would even argue the latter Harry Potter films are essentially horror films for children as well. Anyways, the set-up: Daniel Radcliffe plays Arthur Kipps, a young lawyer, who recently lost his wife from childbirth, travels to a remote village where he discovers the vengeful ghost of a scorned woman is terrorizing the locals. Malcolm Gladwell in Outliers: The Story of Success speaks about the 10,000 hour rule, the idea that mastery in any skill must involve practicing it for up till 10,000 hours. From all those years of playing Harry Potter, actor Daniel Radcliffe has proven the 10,000 hour rule with the skill of “acting to nothing.” Much of the film’s scares hang on the reactions off Radcliffe’s face, everything that the film wants the viewer to believe is present is communicated and punctuated through his performance. He has matured and refined his act into a disciplined performer than previously relying on instincts as he did on the Harry Potter films. A popular criticism that’s been circulating around is that Daniel Radcliffe is a bit young to be believable as a solicitor that has recently lost his wife. I did not mind it as it was not a conscious observation to me as I watched the film. He is a very watchable presence and carries the film competently. Jump scares are something one can grow out of in life. It used to be the part in a horror movie I dreaded the most when I was a child and now as an adult they do not scare me at all. After all, there’s only 2 possible results to a jump scare: either the jump scare was for nothing (in which there was no point to the build-up and it’s just there to scare you to keep you unsettled for the real scares later) or for something (in which the build-up was giving away the surprise of the scare, i.e. in The Descent, there is never any build-up music/sound effects to a scare). Personally there were too many jump scares utlized in the film. That said however, it is still a legitimate aesthetic choice because it can still prove very effective for a teen audience. The film gave me 4-5 genuine scares. The Woman in Black‘s scarier moments come from the idea that children are vulnerable to death and danger without proper parental protection. It’s a lingering omnipresent feeling provided by the film’s gloomy gothic atmosphere. 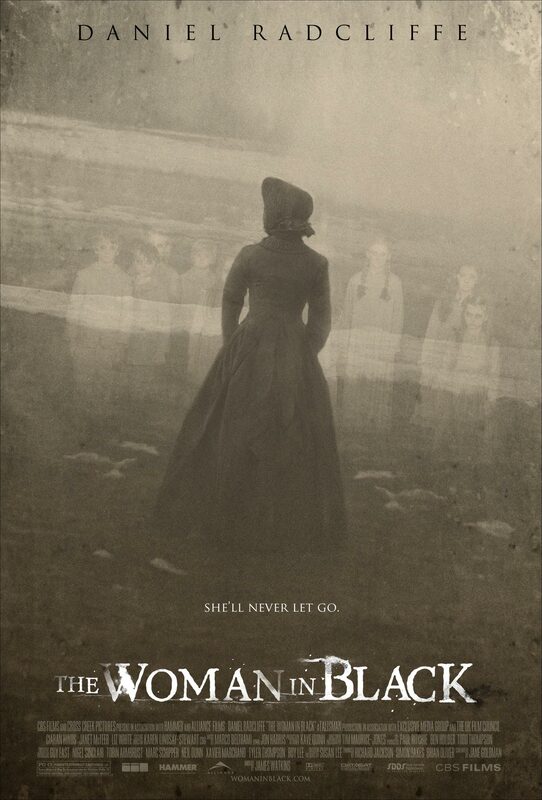 The Woman in Black is picking off all these children and the parents cannot do anything to protect them. One noteworthy scene that gave me the creeps was a child victim who dies from drinking lye. The little child helplessly collapses, spits bloods and drops dead. Nobody can do anything but watch her die. That’s pretty scary, isn’t it? Which reminds me, to all the responsible parents out there: Please respect the film’s rating, do not take your child to see this because Daniel Radcliffe is in it. 13 is the minimum age for this movie. I really enjoyed the ending. It was poignant and bittersweet. Although I didn’t think the very last shot was necessary (I’m not going to say what it is but people who end up watching the film can reply to me on that). Overall, it’s a competent horror film with a fine lead performance cast in a role that plays to his strengths. It’s not great, but it is pretty good work. You can easily nitpick it to death, but I am not going to. I look forward to seeing more of Daniel Radcliffe in future films. There is something very cinematic about watching the creation of something. In A Dangerous Method, we see the beginnings of psychoanalysis and the intellectual debate about the approach to the mind. Carl Jung (played by Michael Fassbender) treats Sabina Spielrein (played by Kiera Knightley), whom eventually becomes his assistant and one of the first female psychoanalysts. They begin a love affair, that breaks the boundaries of their doctor-patient relationship and threatens Jung’s family and career. Adding oil to the fire is the presence of Sigmund Freud (played by Viggo Mortensen), of whom Jung seeks approval from but ultimately their relationship turns turbulent as they differ on views of sexuality and religion. First of all, I liked the 2 lead performances. Michael Fassbender is great as Carl Jung. Viggo Mortensen brings true gravitas to Sigmund Freud, and we experience how Carl Jung is intimidated by his presence. Viggo is our generation’s Robert De Niro. He’s come a long way as an Omish dude sitting at the back of a carriage in Witness. Some actors are good at creating a character internally (i.e. Robert De Niro is always Robert De Niro but is able to create a character)and some actors are good at physicalizing a character (i.e. Johnny Depp as Jack Sparrow or Willy Wonka). Viggo Mortensen is both. Any role Viggo is in, he truly transforms into his roles inside-out and always creates a presence to be marveled. On the issue of Kiera Knightley convulsing and making spastic movements… given that it is a factually-accurate portrayal of mental distress, she’s performing the psychosis as if she were in a theatrical play. She has yet to learn how to use a close-up on film. In my opinion, it’s not her fault. The director should have cut around her or toned her actions down. Watching her face as she does them, it feels very performed. I think less is more in this case and this was somewhat of a miscalculation on Cronenberg’s part. However, Knightley does fares better in the latter half of the movie. I can see why David Cronenberg was attracted to do this material. There is a mental violence underneath the relationships between Freud, Jung and Spielrein. At times it is about manipulation, most of the time, it is all about power. The main problem is the mental violence is not violent enough. That may be because these are true events with real-life historical figures. You end up with a dramatic replay of historical events. There is no prominent theme underneath that does not say anything about life that you can take away from. Is it worth seeing for the performances? Not really. It would also require an interest in the foundations of psychoanalysis (which I do have an interest in) as well. But even with that, that’s still pushing it because there is nothing more beneath it’s surface to offer. 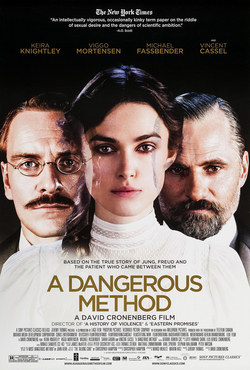 In the end, I’m glad I saw it but A Dangerous Method is a bit unremarkable. “Wait, so it’s a horror movie about hitmen? How does that work?” That’s how I reacted the first time I heard about the premise of Kill List. What possibly can be scary about hit men? The set-up? A British soldier Jay (played by Neil Maskell) returns home from Kiev. He is suffering from his disturbed past from a non-specific failed mission in Kiev. He’s strapped for cash and his wife Shel (played by MyAnna Buring) urges him to take a job with his old friend Gal (played by Michael Smiley) as contract killers. His disturbed past surfaces as he spins out of control during jobs and ominous employers raise the stakes. You may be thinking: what the heck is scary about that? The way we take information has progressed and audiences have evolved. Subtext has now become supertext. Kill List is a film that understands this and chooses to plays all it’s beats beneath it’s surface. It is not about what is being shown to the audience. It is everything that is not being shown: an off-kilter look, an obscure comment and a random action. There is something happening behind the curtains and all these random little things engage you to ask questions. 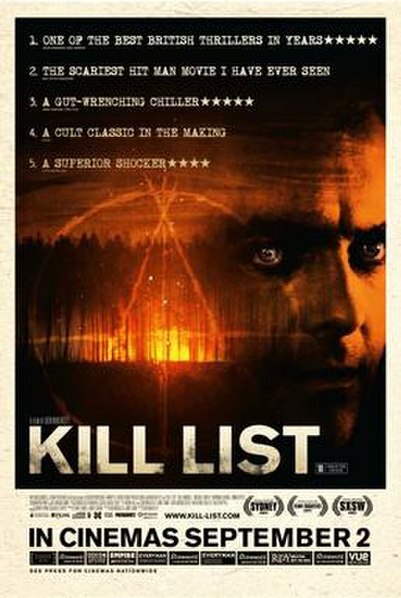 “What the hell is going on?” “Why did she do that?” Kill List engages through creating distance with its audience. One must remember the first rule of horror: it is never being literal. Horror stories are about ideas. Anything physical (i.e. a monster) is a mere physicalization of an idea. The film ended and I was unnerved. I did not know what idea it was that I was rattled by. It’s a looming feeling that sits there in front of you. I felt like rewatching the film again to check if I missed anything. But I did not miss anything. I had no grasp on what it was and that’s quite unsettling. Like I’ve said before in my entry for My Week with Marilyn, it is not possible to make a biopic about Marilyn Monroe without talking how beautiful she is and what a problem that was for her. Nor is it possible to make a Bruce Lee biopic without having any fighting in it. In that mentality, it is not possible to make a Margaret Thatcher biopic without it being about politics. This film attempts to defy that logic. The story is structured from the mental state of the old Margaret Thatcher, who’s dealing with dementia over the lost of her late husband Denis. As things happen in the present, we flashback to the younger Margaret Thatcher, chronicling her journey from a young girl to being Prime Minister. I do not understand what this framing device accomplishes. Is this about how Margaret Thatcher remembers her own life? No, she’s dealing with dementia. Is it her being senile the deal she had to do with the devil? No. She’s the first female British Prime Minister. Why is that not interesting enough in itself? The parts with how she battled the work unions and the Falkland Island wars were really engaging me but there were only shown as excerpts in the film. Now I will have to revert to Wikipedia to learn more about that part of history. Is there anything to say about Meryl Streep’s performance that has not been said? It’s a total physical transformation and she deserved the Best Actress award. That’s really all I have to say about it. Is the film worth watching solely for her performance alone? Only if you want to be part of the social discussion. 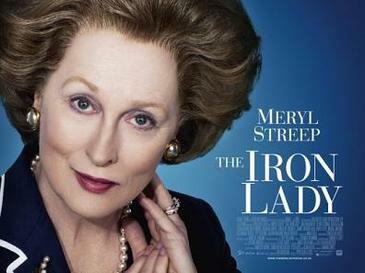 At it’s heart, The Iron Lady is a film about grief, loneliness and the loss of a loved one. I was moved by the relationship between Margaret and Denis Thatcher (played by Jim Broadbent). She found someone that truly loved her for who she was (he tells her this as he proposes, one of my favorite scenes in the movie) and it was heartbreaking to see her senile and alone without him. I felt sad for her when the film ended. On that level, the film accomplished its goal. But why did that story about grief have to be Margaret Thatcher’s story? I still find there are many other more interesting goals to do with her life story. Personally, I would have liked to see the chronicle of her political career as the central story instead.